State of the Union 2018: towards a stronger and united Europe. 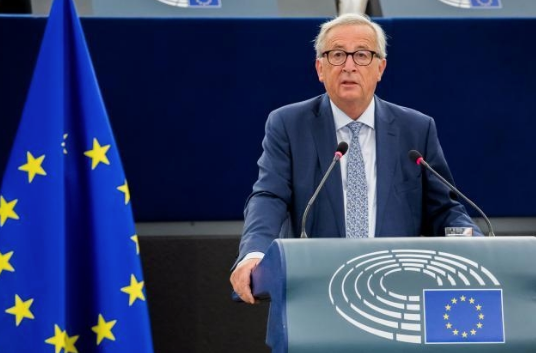 On 12th of September Jean-Claude Juncker, President of the European Commission, delivered his yearly State of the European Union speech during the plenary session in Strasbourg. The President addressed a number of topics, including the 2019 elections, migration and partnerships with Africa. Cooperatives Europe welcomes the speech and agrees with President Juncker on the need for “a strong and united Europe”, calling for taking the responsibility of Europe of tomorrow. However, we remind that this will not be possible without ensuring strong links with the citizens. For this reason, Cooperatives Europe regrets the omission of the White Paper on the Future of Europe, an initiative which puts citizens at the heart of building and determining the future path for Europe. The cooperative movement’s response to the Future of Europe debate and recommendations presented in February 2018 to the Commission stressed the importance of cooperatives in achieving a more inclusive and sustainable Europe, also in line with the Global Sustainable Development Goals – a theme that was not adequately addressed by the Commission in today’s speech.